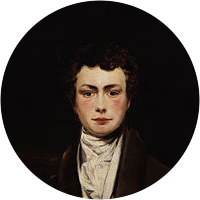 A collection of the best Thomas Moore quotations. And Folly's all they taught me. Humility, that low, sweet root from which all heavenly virtues shoot. We can't survive without enchantment . . . the loss of it is killing us. The heart that is soonest awake to the flowers is always the first to be touched by the thorns. The only thing as challenging as getting tangled in the underbrush of relationship is trying to write about it. It is quite cruel that a poet cannot wander through his regions of enchantment without having a critic forever, like the old Man of the Sea, upon his back.